Pinnacle Health Care is your home for comprehensive care. We offer a multitude of pain relief solutions that will not only help you manage your pain, but we’ll get to the root of it. We’ll create a personal plan that pertains only to your injury, specific pain symptoms, and the ways we see best for your pain relief. You can trust the professionals here at Pinnacle. We are proud to say that we have some of the top specialists, that not only take pride in their health, but take pride in your healing. 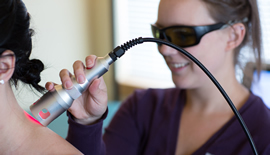 Everything we do here is done to the highest of expectations, so that our patients feel at home when they are with us. Our specialists will take the time to get to know you, and your injury, and work to see that your injury heals, and your pain vanishes. You can depend on our pain management clinic to provide you with the services and information you need to begin your pain relief today. 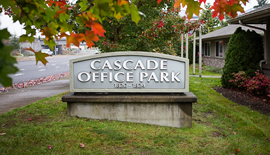 Take a look through our health care professionals, ranging from Chiropractors, to our massage therapists. 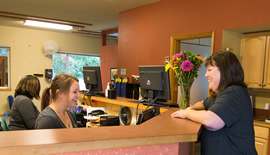 Kristina is an Olympia native who has been serving Pinnacle patients since 2009. 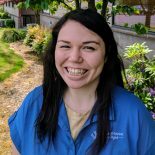 She has devoted herself to serving patients in many capacities in her time at Pinnacle Health Solutions – first through front desk operations, then rehabilitation specialist and later through becoming a certified x-ray technician, heading the billing department and overseeing clinic operations. 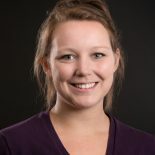 Additionally, with a Bachelor’s Degree from Evergreen State College in nutrition, Kristina has been critical in assisting Dr. Greenlee with clinic nutrition programs providing patients with nutritional guidance to help lose weight healthfully, control their diabetes, decrease inflammation and increase their energy and overall health. Kristina had the incredible opportunity to spend a year on the Hawaiian island of Molokai with her husband Aaron in 2011. They returned to be closer to her 6 nephews, 1 niece, 3 brothers, 1 sister, and foster siblings. When she isn’t having adventures with her family and friends she can be found hiking, working in her garden, or exploring new baking recipes. 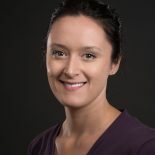 Michelle works closely with our rehabilitation programs and is also a Certified X-ray Technician. Growing up, she regularly received chiropractic care to stay active and healthy through her very full athletic schedule. Her passion for health also extends into the field of nutrition. Before she came to Pinnacle, she already had experience in providing nutrition and weight loss support to members our community. Michelle grew up in Northern California – fortunately for us she later fell in love with Northwest and then a Northwesterner. She and her husband James love to hike and camp. In addition to her adventures with James, Michelle also loves cooking and spending time with her cats Lucy and Louise. Born in Yokohama, Japan, Lisa moved to America with her family when she was very young. Wanting to connect back to her roots, Lisa left for Japan in 2015 to study abroad with The Evergreen State College’s Kobe Exchange program. She lived in Kobe and Yokohama off and on for 14 months where she studied business administration and economics. On the side, Lisa was also teaching English to students who were the age of anywhere between 3 and 75 years old. Lisa graduated from Evergreen State College in 2016 and returned back home to Olympia. After graduation, Lisa fell in love with a Yorkshire Terrier mix. She promptly rescued this dog and named her Luna. A social butterfly, Lisa loves to meet and connect with people (and dogs) from all walks of life, and is absolutely thrilled to be able to work with patients and aiding them on their journey to better health and wellness. In Lisa’s down time, Lisa can be found playing with Luna and her boyfriend at the dog park, playing board games with friends or creating various arts and crafts projects.